Ben Affleck might play Batman on screen, but in reality he is just trying to be a super dad! The 44-year-old actor gushed about his kids and being a father in a recent interview and it makes us love him even more. 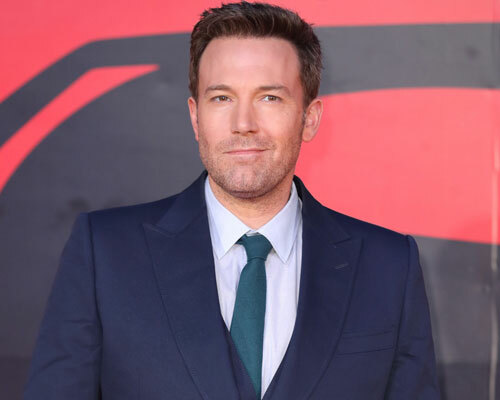 While promoting his newest film, The Accountant, on Friday, Affleck opened up about being a father and admitted that his kids haven’t been able to watch any of his films due to their content, but someday he’ll definitely show them his work. "They're like, 'When do you do a movie we can see?'" Affleck told reporters about his children during a press conference for The Accountant via People. "They just want to know what the rating is. [I'm like] 'You can see this when you're 25.'" Despite the fact that his three children, Violet, 10, Seraphina, 7, and Samuel, 4, cannot watch his latest film, it doesn’t mean he isn’t close with them. In fact, he told reporters all about his life as a father and what it truly means to be a dad while discussing the father-son dynamic in The Accountant, which is strict and stern, but out of love. "When you have kids, what's that expression, 'Your heart is outside your body,' all of the sudden you feel so vulnerable and this fear of a child being vulnerable is very very powerful," he said. "I can see why it made for a really interesting character in the father. Here's a guy out of love and compassion and fear for his son, actually ends up kind of brutalizing him and abusing him and it's a really interesting look at what's the appropriate way to channel the intense emotions we have as parents, it's not easy." It’s so awesome that Ben Affleck’s love for his kids transfers over into how he views and chooses his work as an actor. Sounds like a pretty cool dad! The Accountant hits theaters on October 14.